This is another Halloween treat. 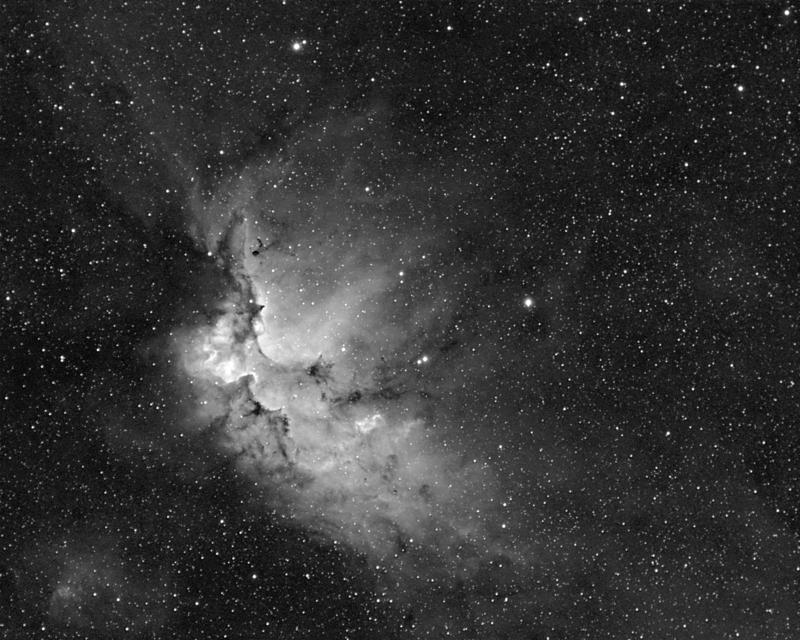 Can you see the Wizard in this image of the Wizard Nebula? The total exposure time was about 6 hours through an H-Alpha filter. I will be working on a color version. 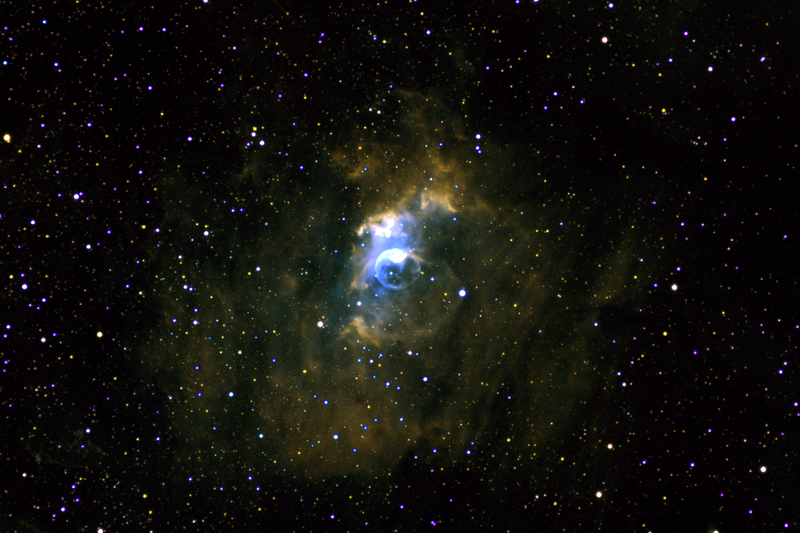 I was surprised to see the gremlin’s face when I processed this image of the Bubble Nebula (NGC 7635). 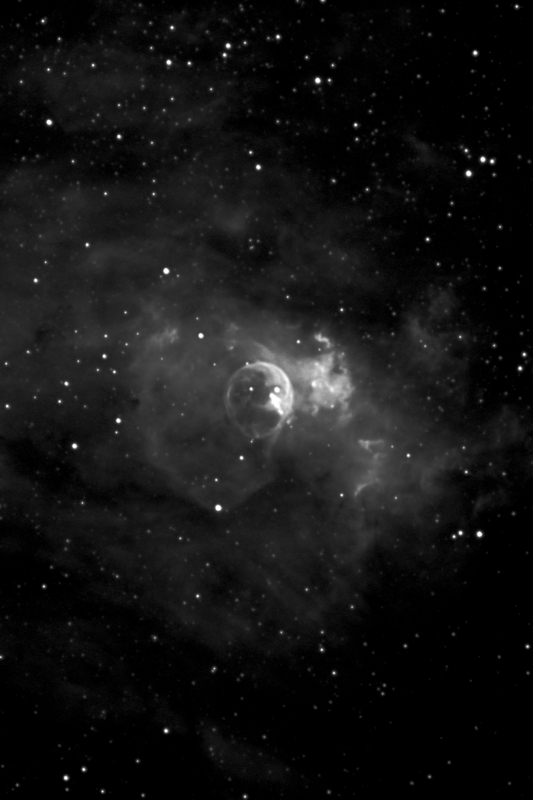 This was obtained by stacking about 13 hours of exposures (39×10 minutes and 28×15 minutes) taken with the Astro-Physics f6.3 130mm refractor in combination with the QSI 690 camera. My Astro-Physics mount is getting more accurate as time goes on, so these exposures were done with no guide camera. 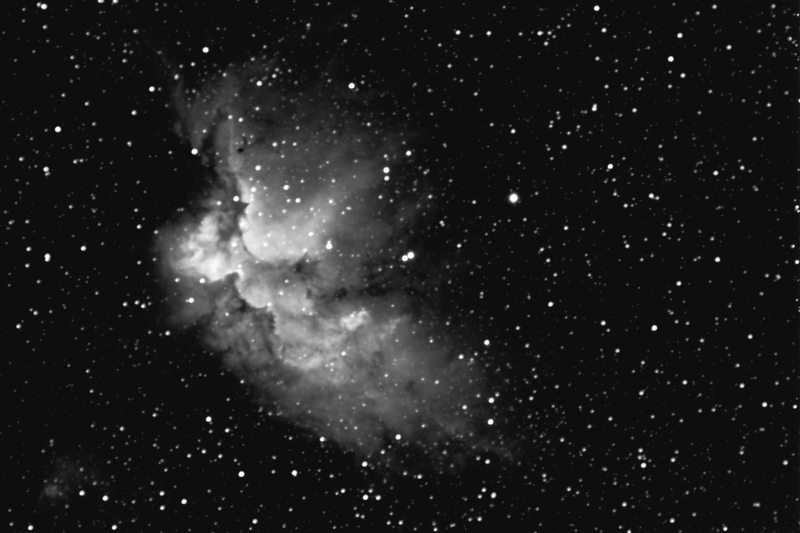 I hope to gather more detail on this nebula over time.